The Pixel C is now three years old and it's about time for a new Google tablet. Google seems to agree and will introduce its Pixel Slate together with the third generation Pixel smartphones. Three years ago, Google launched the Pixel C, its own Android tablet. For some time now, the device has been discontinued. It is no longer been listed on the website of the Google Store and the update to Android 9 Pie has also been denied for the tablet. So it's high time for a successor, which will be introduced under the name "Google Pixel Slate" together with the Pixel 3 and 3 XL. The first images of the new device have also leaked. As the images show, the next ‘Made By Google’ tablet doesn't have Android pre-installed, but Chrome OS. That's probably a good thing, because it's much better optimized for large displays. With Android, Google has not really made a lot of adjustments over the last few years apart from moving the navigation bar buttons and reworking the multi-tasking view. It seems that Google is doubling on its decision to replace Android with ChromeOS on tablets. Furthermore, the images published by MySmartPrice show the Pixel Slate with an aspect ratio of 3:2, two stereo speakers facing forward, a USB-C port and both a front and rear camera. In contrast to Pixel C, the new Google tablet also appears to have a fingerprint sensor integrated into the power button. Instead of a thick hardware keyboard magnetically attached to the bottom edge of the device, as we saw with the Pixel C, this year Google seems to be putting on a cover with an integrated, attachable keyboard, which can be connected to the tablet via four pins. The improved pen for the Pixelbooks should also work on the new Google tablet. Here, Google is fighting on all fronts to compete with both the current Apple iPads and the Surface models from Microsoft. The Pixel Slate will be presented together with the Pixel 3 smartphones on the evening of October 9th. 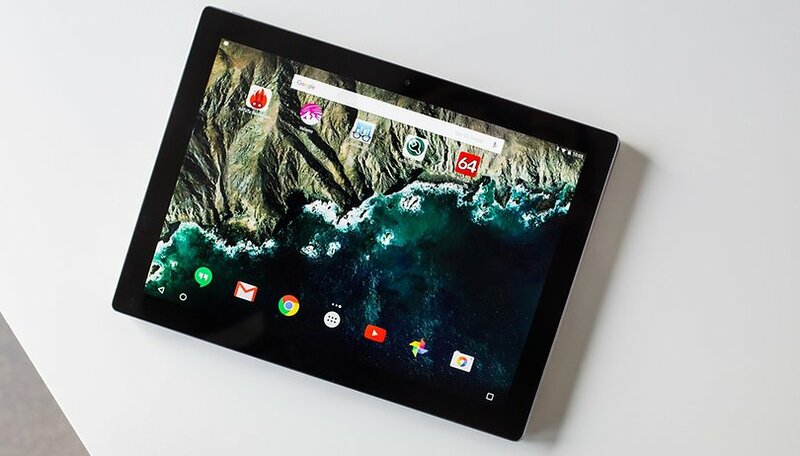 As a big fan of the Pixel C, I'm looking forward to the next Google tablet. What about you? Let us know in the comments. The cover picture shows the Google Pixel C.
Chrome is a no go for me. Also I see the picture has a trackpad, which I'm guessing means chrome OS is designed for a mouse, which is not what I want. Seems Google doesn't understand the concept of tablets and keeps trying to just make "small laptops". I had the same thought for the exact opposite situation. An Android tablet no thanks, a Chrome OS tablet/convertible is way more interesting.